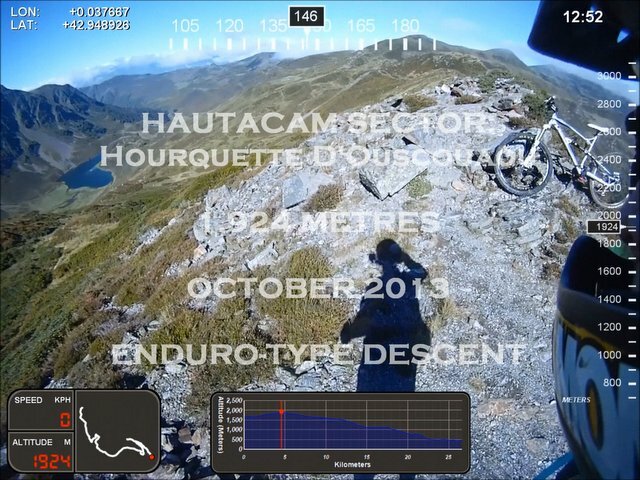 Watch this short video made by Dom to show the type of high mountain single track riding found in the Hautes-Pyrénées. Stunning views combined with navigational and technical challenges makes a great outing for the more intrepid and advanced riders. The Hautes-Pyrénées has mountain biking to suit all experience levels and riding disciplines, from gentle riding on gravel roads and tracks between villages, cross country trails through undulating pastures and woodland to all-day enduro style high mountain riding. Here is some of the terrain that you are likely to encounter. The Fédération Française de Cyclisme approves and labels national mountain bike networks and we have 2 sites close by. Haute Bigorre VTT (no.56) is based in the Campan valley and Pays des Vallées des Gaves (no. 26) around Lourdes and the Val d'Azun. BLACK Very difficult, for riders with strong techinical skills and good fitness levels. The local towns, villages and hamlets are linked by quiet winding roads, woodland trails and farm tracks with bike routes set out on communal maps. These rides are not too technical and are great for keeping fit whilst enjoying the spectacular mountain backdrop. In the foothills, you will find steep and challenging climbs on the narrow roads that link the network of hamlets. From the top, you can then find a track and enjoy the exhilarating descent! Many lift operators are catching onto the idea of running the lifts in the summer for bikers. Our nearest option, just 8 km away, is the Pic du Jer. This is served by a funicular that takes riders from Lourdes to the Pic at 948m. The ride down is fairly steep ride with some dedicated downhill sections in the forest. Cauterets have now opened the gondola to the Crêtes du Lys to bikes, and a further chairift takes riders to 2,305m. 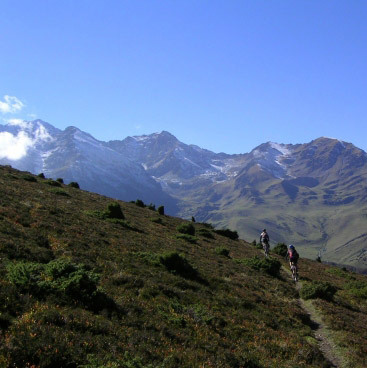 This opens up an exciting and varied vertical descent of 1,500 metres back to the town. Riders encounter alpine slopes, a bike park, gravel switchbacks and woodland singletrack. For the ultimate ascent though, the Pic du Midi cable car is now available to bikers. At 2,877m there is an incredible panoramic view.. and its a long long way down! We offer B&B accommodation as well as self-cater gites let on a weekly basis. 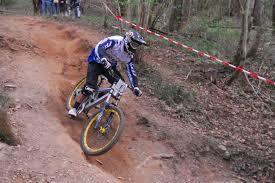 Ardien Velos are located at Luz-St-Sauveur and offer an excellent range of cross country and downhill mountain bikes. Please ensure you have adequate travel insurance for the planned activities.